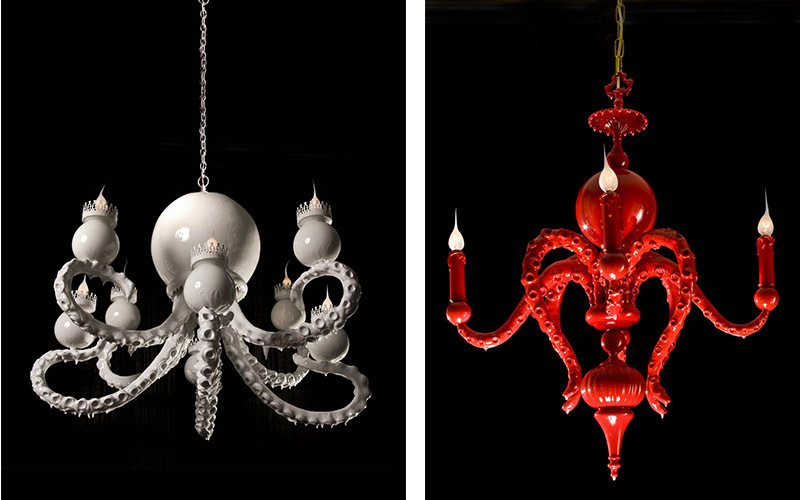 Adam Wallacavage is an American artist, known for his surreal and highly ornamented interior design details such as octopus chandeliers. Wallacavage was born in 1969. In 1995, he received his BFA in Photography from the University of the Arts in Philadelphia. 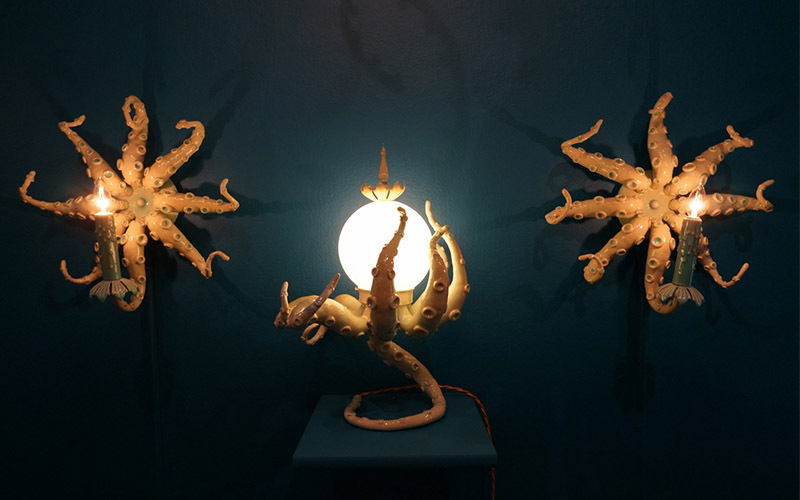 By the time of 2001, Adam has mastered the craft of ornamental plastering and he started to create his famous octopus shaped chandeliers inspired by sea adventure stories and Catalan architect Antoni Gaudy and his church ornamentation. 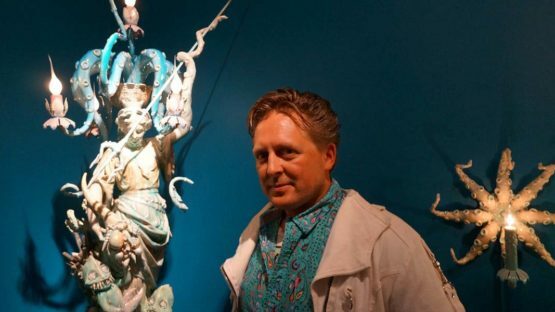 Beside sculptural work, Wallacavage has been creating in a field of photography as well. In 2006, together with Ginko Press, he published a book titled Monster Size Monsters – presenting in this way his own colorful, highly saturated photos of artists, musicians, and skateboarders he has been making in a period of 15 years. In Monster Size Monsters can be also found a great source of documented oddities such as taxidermy items. Adam Wallacavage currently lives and works in Philadelphia, Pennsylvania.